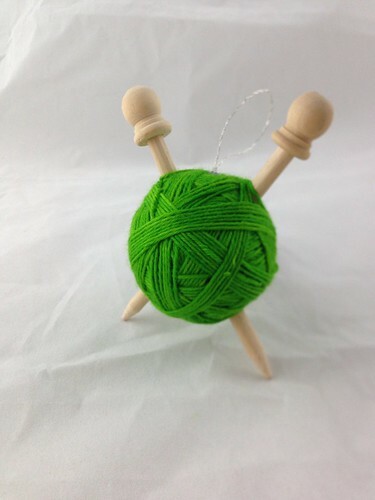 I love all of the knitted holiday ornaments that I see in stores and on Ravelry. Unfortunately for me, I don't have the patient to knit a million little sweaters or mittens or penguins. 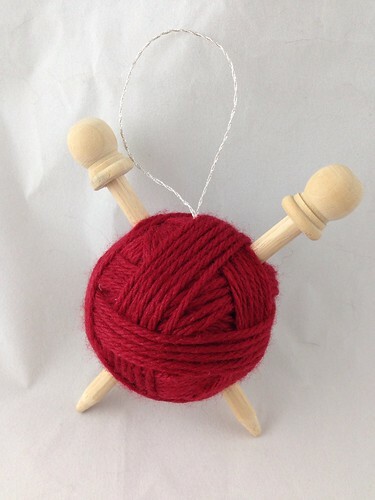 These little yarn ball ornaments are pretty easy to make, and make use of your scrap yarn. I've been meaning to make these for a few years now, and I'm happy to show you my process! Cut dowels into 1-1/2" pieces. I used a model-making chopper for this, but strong scissors, wire cutters, or a hand saw could do the same. 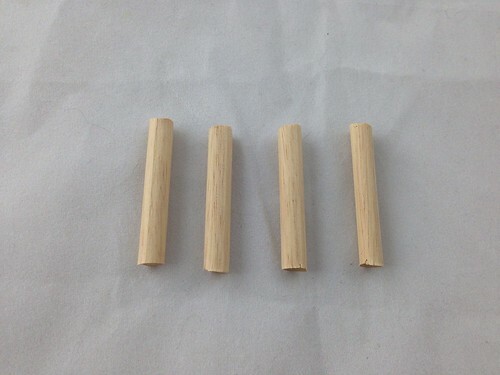 Use the pencil sharpener to sharpen the ends of two of the dowel segments. Use sandpaper to blunt the ends of the points. 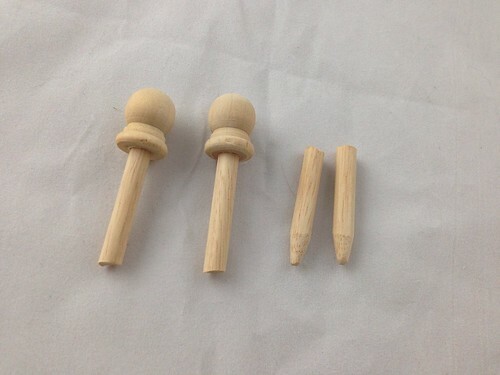 Place the caps on the remaining two dowel segments. The caps held on to the dowels with friction, but you could use a good white craft or wood glue if they don't. 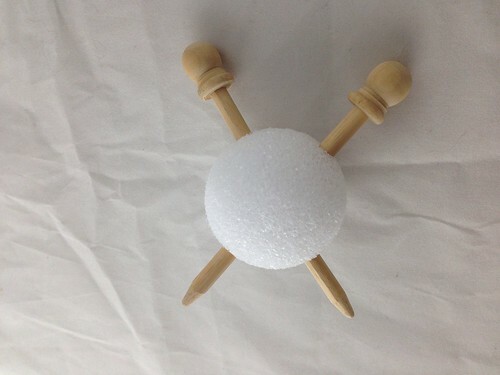 Stick dowel segments into a styrofoam ball, being careful to line up the segments so they look straight and continuous. I used a sharp knitting needle to make holes all the way through the styrofoam, which showed me exactly the angle I needed to use to place the dowels into the ball. 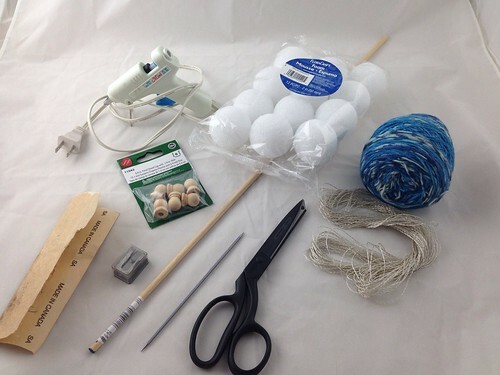 Wrap your scrap yarn around the ball multiple times, in many directions. I didn't even secure the starting end of the yarn, I just overlapped it enough that it held. When I was finished, I slipped the yarn under the wraps and stuffed it under wraps in an opposite direction. Sometimes I could find a little hole of styrofoam and mash the end into the foam, securing with a teeny bit of glue. You could paint or stain the "needles", use i-cord or crochet chains in place of regular yarn, put beads on the yarn... Lots of options! You could even use some large, pretty beads for the needle ends. 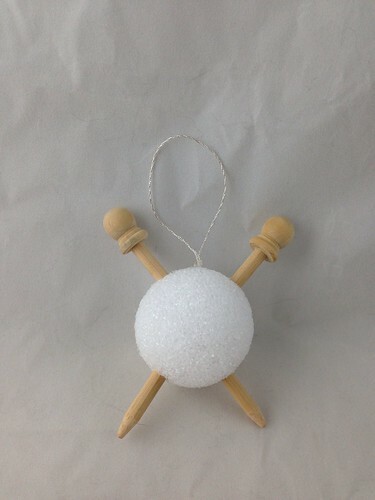 If you make these ornaments, send me a picture and I'll be sure to share it here! I pinned this so I can get the "ingredients" and make wtih the kids.